Pre-sales begin 12PM PST, 07/17/2017 here! In stock & ready to ship on 07/25/2017. "SHOW ME WHAT YOU GOT!" Meet Valkyrie Mark II, Valkyrie's long awaited little brother. He's the ultra fidgetable, ultra pocketable, ultra compact version of our beloved original Valkyrie. The Valkyrie Mk II has all the smooth spins, quietness, and signature curves of the original, with minimized gyroscopic pull/speed loss during axis rotation, concave finger buttons/caps and a perfect finish. Carved out of solid 100% stainless steel blocks using the same state of the art 5-axis CNC machine as the original, using manually modified and improved code. Currently under production, and will be available in classic brushed finish + 3 sandblasted, Cerakoted, matte color options. Perfect for users with smaller hands, children, or those looking for a super discrete all-in-one package. 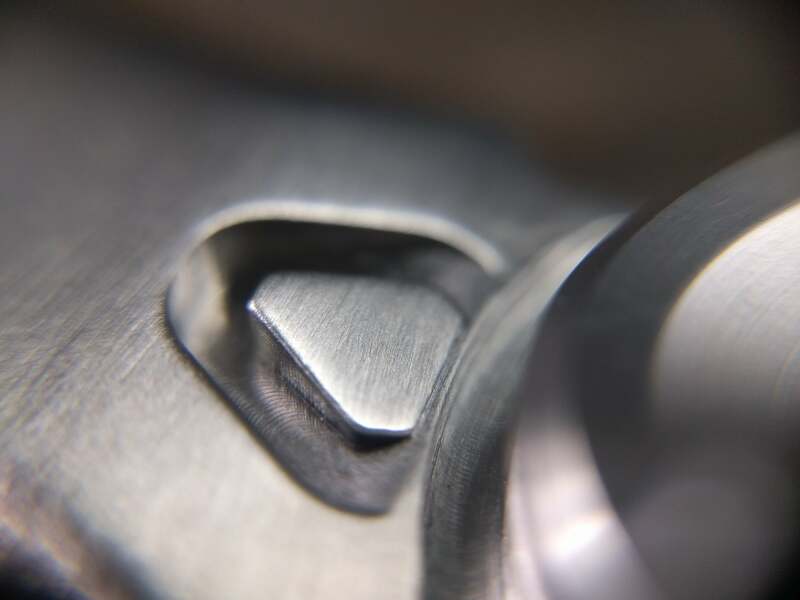 The Mk II's body length is based on surveyed results of over 600 real spinner enthusiasts, and is comparable to that of the Spinetic Y/X (55mm). While most of our users love the pronounced tactile feedback, weight, and satisfying gyroscopic pull of our original Valkyrie, we know it's not for everyone. So we made the Mk II to cater to the rest of you that prefers nonstop fidgetability over long smooth spin times and torque. Maximized stability & minimized speed loss/gyro pull during axis rotation, while maintaining subtly noticeable tactile feedback. Uses the same super high quality quiet, smooth, and durable OEM SS R188 bearings as the original Valkyrie. A respectable ~3-7 min out of box max spin time (vs. original Valkyrie's 10+ min out of box spin time). Yup, the single biggest problem we have faced since the original Valkyrie was introduced has finally been solved! After a long and mostly unfruitful search for a new finish method to get rid of those unsightly remaining machine marks around our signature triangle accents (and many wasted prototype units), we decided to take an out of the box approach, and instead carefully modified our design itself. The result? 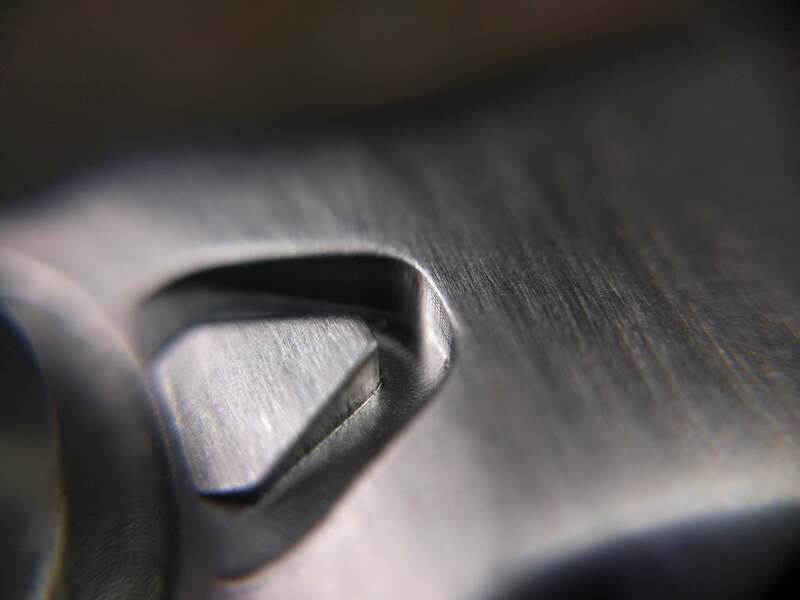 A perfectly smooth and consistent surface finish on every unit. But we didn't stop there, we took it a step further, and manually rewrote parts of our G-code to direct and improve on the CNC machining paths themselves. This way, we can ensure every unit we produce has perfect surface consistency before the finishing process is even applied. Zoom into the triangle details on these 2 photos and see for yourself: ONE, TWO. We originally intended to color our Mk II's using the current industry standard method of electrophoresis. However, when we got the first samples back, we weren't at all impressed with the quality, durability, or tacky shine of electroplating our beautiful stainless steel Valkyrie. So of course, we did you one better! Instead, the Mk II will be sandblasted, then colored with a layer of durable, matte, heat and corrosion resistant CERAKOTE® -- a high performance, scratch resistant, ceramic based coating designed for custom firearms, and a long time favorite among gun enthusiasts. NOTE: The colors shown in photos here are only prototypes for reference purposes; final production model colors/textures will be slightly different. "LOOK AT IT! IT DEFIES ALL LOGIC, THAT THING!" By popular request, and for better fitting ergonomics relative to its smaller size, we've redesigned the Mk II's finger buttons/caps to have a deep concave center, and did our best to retain as much of the beloved rim of the original as possible. This combined design provides comfortable, effortless, all day grip for most finger/hand sizes, and has a carefully chamfered edge. NOTE: Production model's concave finger button/cap design will be deeper than pictured here, and will have our signature laser engraved V logo. For our European fans who may not have heard, the EU and UK has recently (quietly) passed new regulations requiring all imported fidget spinners to be CE certified, or risk being confiscated at customs. "I LIKE WHAT YOU GOT!" Will the Valkyrie Mk II come with the same lifetime warranty as the original Valkyrie? Is the Valkyrie Mk II a replacement for the original Valkyrie? Nope! The original Valkyrie was our first design, and very well received by the community, so it is here to stay (and continually improved on). The Mk II is simply an alternate iteration to fulfill the demand of a very different part of our fidget community. I heard through the grapevine that you plan to include a bonus accessory with the Mk II! Is this true? What is the accessory?! Yup, that's the plan! The bonus accessory we're looking to include in the Valkyrie Mk II is a handy, compact, protective carrying case. It will be easily attachable to your key-ring, a carabiner, or necklace/chain as a wearable pendent. However, please keep in mind that this is not yet finalized. We have the design/model completed, and are currently in the process of sourcing a reliable manufacturer to make it a reality (almost there!). When will the Mk II be released?! We have yet to set a price, and unfortunately, will not be able to determine until production, packaging, and QC is complete. However, rest assured it will be reasonably priced, and should not exceed the price of the original Valkyrie. This page will be updated as we make more progress, and as usual, we will do our best to keep you up to date on with our projects and products through our official mailing list! If it's something you're really, really, really dying to know, feel free to leave us a question in the comments of this Reddit thread we've created, or contact us directly at cs@alphabotindustries.com. We may not have all the answers for you, but we'll always do what we can!